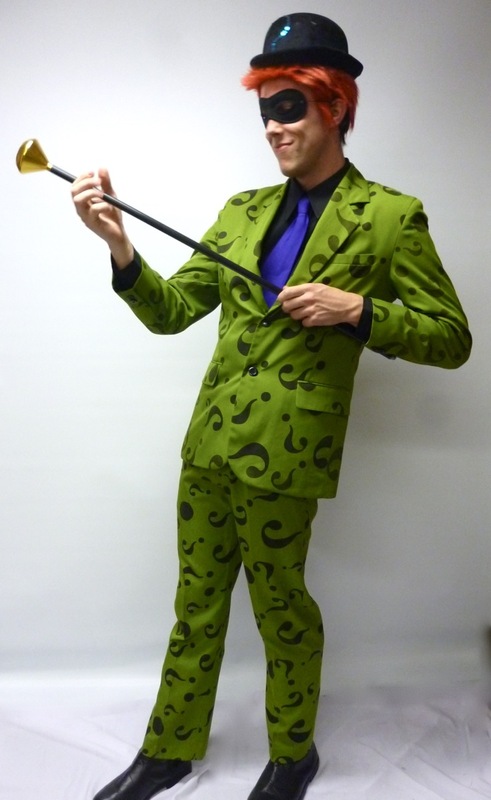 Batman’s arch enemy The Riddler costume for hire. Costume consists of jacket, trousers, mask, shirt, tie and bowler hat. 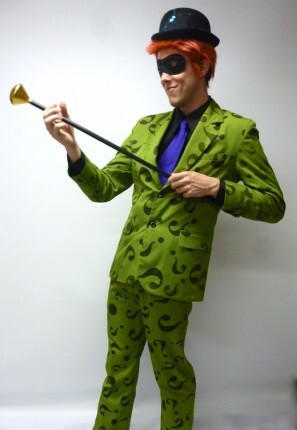 We also have an optional riddler wig. Just add a walking to complete the outfit. Ideal for a super heros or villains party.